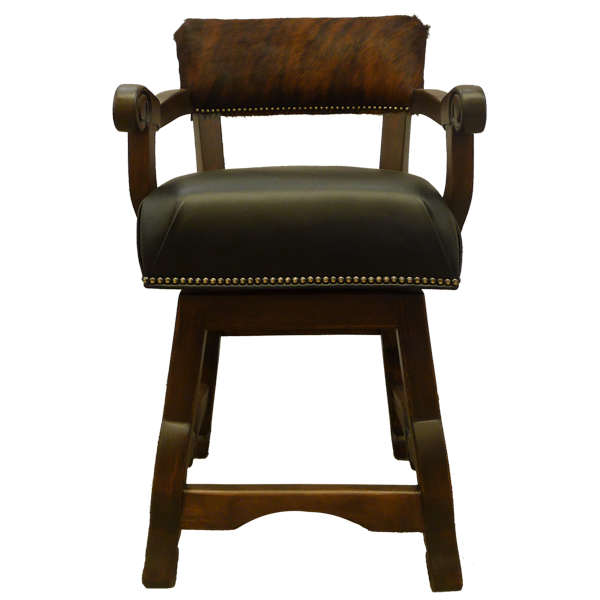 With its combination of rich dark full grain leather and its beautiful dark stain finish, this handcrafted bar stool can add warmth to your home and will give your interior space greater presence. 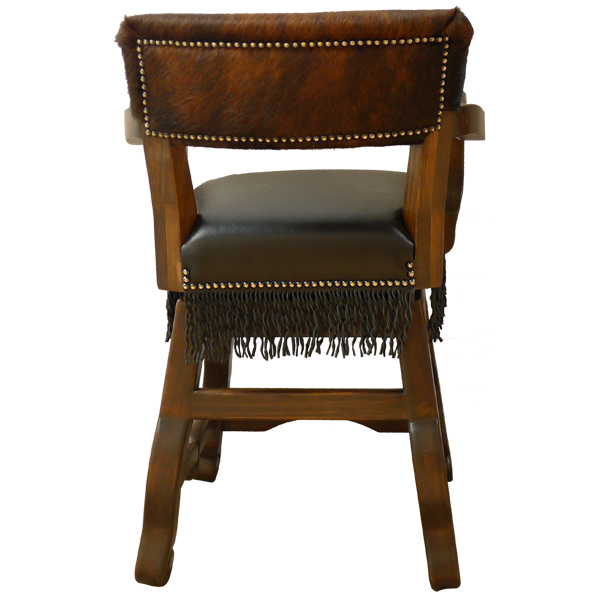 The seat back of this Spanish colonial custom bar stool is upholstered in dark patterned genuine cowhide and the seat is upholstered in rich dark full grain leather. The upholstery is carefully hand tacked to the entire wood frame by our skilled craftsmen. 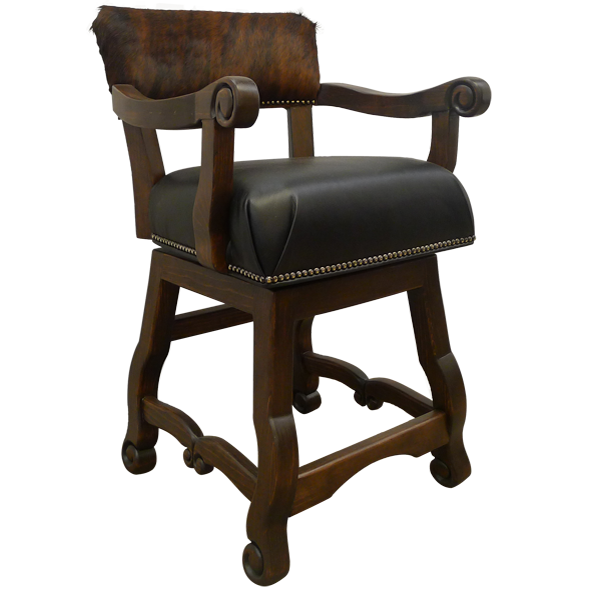 The wood armrest have ornate hand carved scrolling, and the splayed wood legs have low cabriole ends, joined by a three way wraparound stretcher and high back crossbar. Durable and comfortable, the bar stool is made of the best wood available. It swivels 180° and 100% customizable.